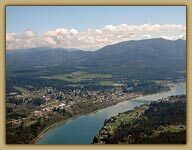 Near the confluence of two pristine rivers you can locate the quiet community of Priest River. 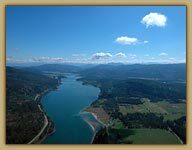 Situated 7 miles east of Washington and 75 miles South of Canada, it's on the Western end of Bonner County. With a population of approximately 1,700 residents, this town is filled with friendly people. Priest River has a diversified economy reflecting the changing times of the American West, and is currently driven by the tourism and timber industries. 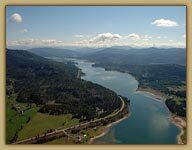 Priest River sits at an elevation of 2,100 ft, and boasts the pleasant four-season climate found in North Idaho. An annual rainfall of 23 inches and annual snowfall of 72 inches keeps the lake full, and the nearby Schweitzer Ski Resort thriving. In the summer months, temperatures rarely exceed 90 degrees while the neighboring rivers and lakes offer fishing, swimming, boating, and water skiing. The Priest River Timber Day Festival, along with the Priest River Museum and Timber Education Center, provide history and activities relating to the surrounding industry. 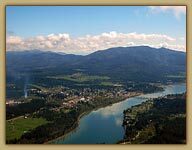 Additionally, the City Park, Pend Oreille River, and Priest River offer further recreation. Priest River holds forth beautiful scenery, plenty of varying recreational opportunities and warm and friendly folks.